Possums are generalist feeders in that they do not have any preference for specific foods. Nearly all possums will eat buds, shoots, bark, and fern flesh. However, there are certain foods which they consume more frequently and likely than the others. These are flowers and fruits. Yes, that is true. Possums love to feed on fruits all day long particularly in summer or autumn. In winter, they will consume flowers. Let us now see what fruits do possums eat in the wild. Possums do not normally eat the entire fruit. In fact, they like to eat one of the portions of fruits more than the other. In this article, we divide a fruit into three different parts; skin, flesh (i.e. juicy part), and its seeds. According to Mason (1958), possums do not generally like to consume fruit’s seeds. He found out that possums mostly eat skin and fleshy part of the pigeonwood fruit and hinau leaving behind its seeds. When they consume kawakawa fruit they eat seeds too but then possums are unable to digest these seeds. Possums are least likely to feed on Kanono fruit. Studies suggest that possums do not like to eat fruits’ seeds. Also, they will consume fruits only when they are fully ripe. The quantity of carbohydrates is greater in fruits (91.7%) than it is in leaves (85.9%). 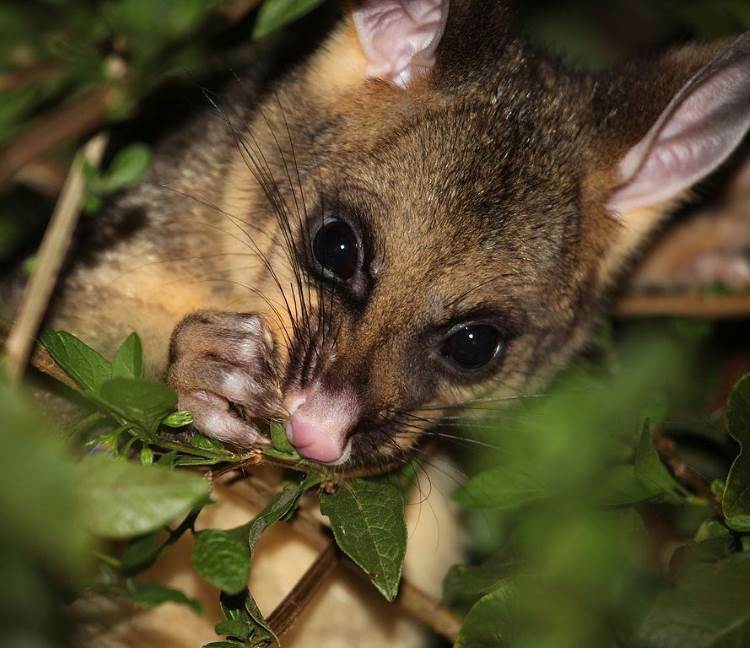 The brushtail possum feeds on Nertera, horopito, Coprosma spp. and putaputaweta fruits all year round. Do Possums Select Fruits by their Color? No, possums do not choose fruits by their color. Researchers carried out their study in the Orongorongo Valley, New Zealand. Some of the fruits of New Zealand flora appear red, white, orange, and black. They found out that possums ate nearly all of them in equal proportions although some species preferred white fruits over the other. Studies suggest that the possums will consume the entire fruit including its seeds if it is small in size. They take out the seed and throw it away if it is too big to digest. Fruits such as hinau (Elaeocarpus dentatus), karaka (Corynocarpus laevigatus), tawa tree (Beilschmiedia tawa), pigeonwood (Hedycarya arborea), miro (Prumnopitys ferruginea), and nikau (Prumnopitys ferruginea) are likely to have bigger seeds with a diameter of 10 mm and so they are not eaten by possums. Possums only consume the skin and flesh of these fruits. Sometimes big fruits have small seeds. If that is so, then possums likely eat the whole of the fruit. 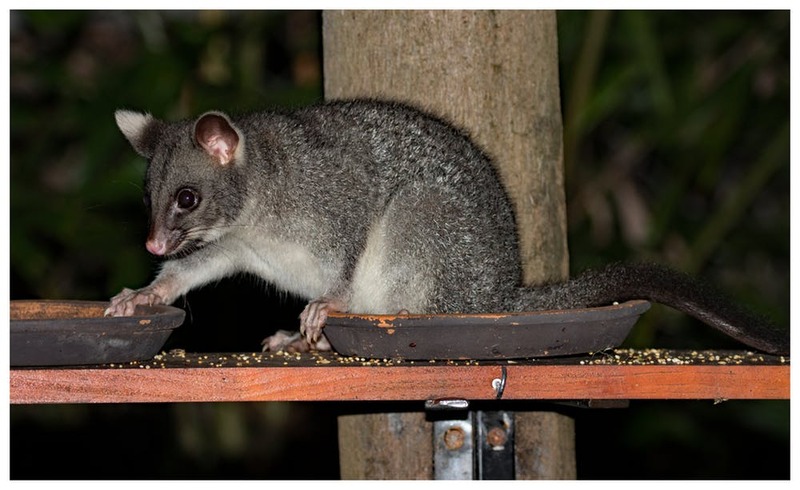 Possums mostly eat fruits that weigh around 0.007 g to 0.50 g.
Dig Deeper: What Do Possums Eat? 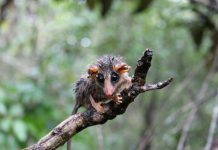 What Fruits Do Possums Prefer to Eat? Possums are most likely to feed on large fruits primarily because these fruits are fleshy. ferruginea is probably the only big fruit which possums do not like to consume because it has high resin content. 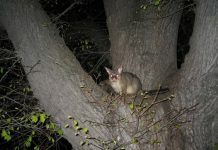 Possums are known to respond to the annual variations in fruit supply and act as an opportunistic feeder, consuming the fleshy part of many species that are available, and in amounts which depend largely on the intensity with which different species produce fruits and flowers in different years. What Plants Do Possums Eat? FITZGERALD, A. E. 1978. 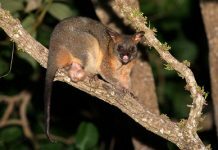 Aspects of the food and nutrition of the brush-tailed opossum, Trichosurus vulpecula (Kerr, 1972), Marsupialia: Phalangeridae, in New Zealand In: Montgomery, G. G. (Editor) The Ecology of Arboreal Folivores. pp. 289-303. Symposia of the National Zoological Park. Smithsonian Institution, Washington, D.C.
HINKS, N. T.; A. BOLLIGER 1957. Glucuronuria in a herbivorous marsupial Trichosurus vulpecula. A ustralian Journal of Experimental Biology. 35: 37-44.